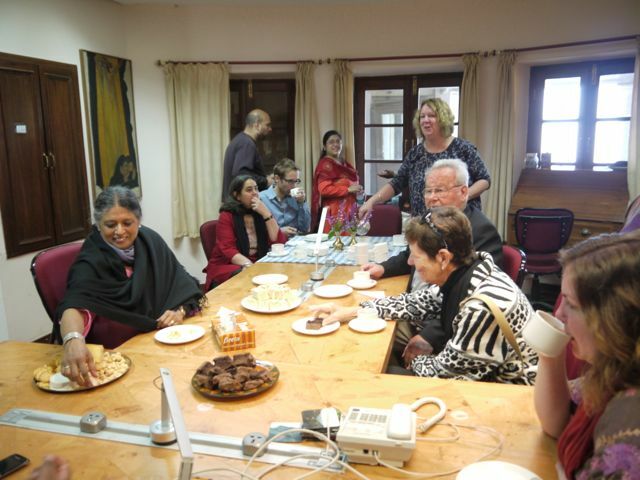 On Wednesday we had an alumnus and his wife visiting and amazing refreshments! Bill and Norma seemed to enjoy their visit with us. 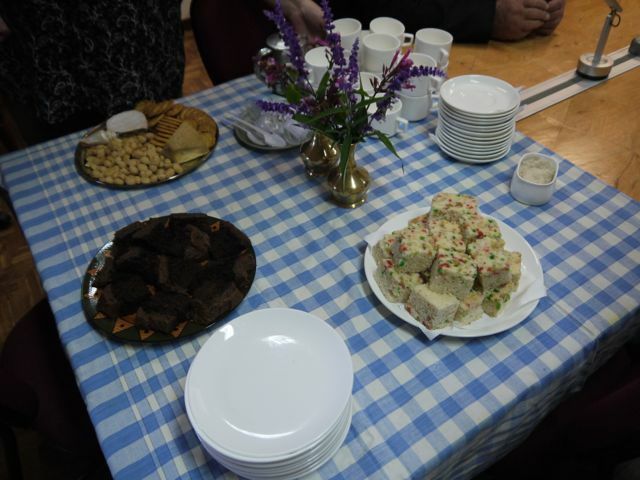 Cheeses and crackers, chocolate cake, and fruitcake from the school kitchen! 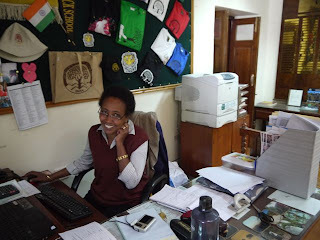 Our lovely receptionist Immu working at her desk.